As a leading provider of publishing services to authors, we understand the specific needs of the Christian book market and authors looking to enter the world of Christian self publishing. We've built wonderful books for many Christian authors - even books for children with amazing and beautiful full-color interiors. Our Christian book authors watch their dreams come to life on the printed page. Our authors also need a wide variety of marketing and promotions resources to help in their Christian self publishing efforts. We provide a full portfolio of excellent marketing tools and promotional vehicles to our authors - everything from promotional products to complete marketing campaigns. From Press Release writing and distribution to Search Marketing services, Dog Ear has programs for Christian books and Christian self publishing that can't be found anywhere else! A Christian book is successful because of both the story and the design - and the quality of the publishing behind the author's and publisher's efforts. The best story and most words can't shine if they are part of an inferior product. Dog Ear is one of the most respected Christian self publishing companies in the United States. Dog Ear's Book Publishing packages pair the best possible book design and layout with the best printing technologies available. 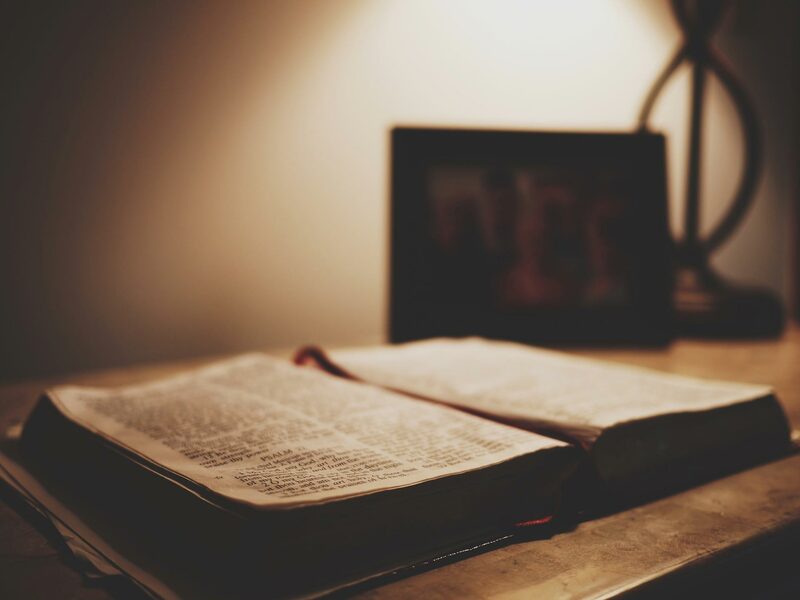 What is Christian Book Publishing? Dog Ear focuses on creating books for professionals - and Christian books are no exception. When self publishing Christian books with Dog Ear, each product is a uniquely designed (we don't use templates) book that is built around the needs of your content and your anticipated readers. Customers who have purchased our Christian book publishing services include priests, pastors, reverends, clergy, theologians, Bible study leaders, "born agains", and laypersons with a passion for the Good Word. Let us guide you and help assess your Christian self publishing needs. Our staff can help identify the type of product and services that best meet your goals. Our comprehensive design and printing technology solutions will create the best possible experience for your readers, while maximizing the profit from each sale. Self publishing christian books has never been more professional or profitable. It doesn't matter if you are a new author or a veteran of the Christian self publishing game - Dog Ear guides all of our clients through the maze of the book publishing process. The end product will be a book that truly exceeds all of your dreams, created with one of the most comprehensive Christian self publishing companies. We've compiled some brief information about our Christian book publishing process that will help you along the authoring process and to understand the various stages of book production. - A single point of contact for self publishing Christian books - your author representative will be your personal liaison throughout the process. - Professional custom design - both your interior pages and book cover will have a truly custom design from our professional design staff. Our designers have created award winning book designs for many of the largest traditional publishers in the world. They will create (with your input) an attractive and effective page layout and a beautiful cover that enhances your book and complements your reputation for self publishing Christian books. - Marketing Strategy conferences - book publishing is all about creating and expanding marketing opportunities. Your author representative can collaborate with you in developing strategies to reach local, regional, and national sales opportunities for your book as well as helping to build a highly effective marketing and promotional campaign. Click here for more information on Dog Ear targeted marketing campaigns..
All Christian self publishing companies will require some level of manuscript formatting. These quick notes are designed to ease the entry of your manuscript into our editorial and/or production processes. Our processes are designed around the standards of the Christian book publishing industry, and your review of the material below will ensure your project flows as smoothly as possible. All manuscripts should be delivered to Dog Ear electronically - either via email or on a CD/DVD. Your project representative will give you the email address to which to send your manuscript. Your manuscript must be your final manuscript. Editorial changes or alterations - other than to correct production errors - will significantly slow the process and will incur a charge to the author. "Non-text" elements will be placed as close as possible to where they are referenced within the text (your Art Reference). These elements will fall AFTER the reference, at the top or bottom of a page, typically within (1) page of the Art Reference. Tables are considered text and will be positioned within the text. Images will appear in the printed book as submitted (both in size and quality). Graphs or figures should use text printed as solid black and white with no shading. Shading causes images to lose quality when books are printed digitally. Art or images that require manipulation will increase our production time and costs to the author. All "non-text" elements should be numbered consecutively and must be referenced within the text. Photos reproduce best when submitted as an original digital file in high resolution. Any scans should be submitted at 300 dpi as black and white. Every production process will include the delivery of electronic proofs for your review. These are delivered via email as Adobe pdf files. We understand that authors need the ability to change their content - and our process is very accommodating of changes - but removing or adding even one line or paragraph to a page is not nearly as simple as it may seem. Even a single word change can change the length of the text block and thereby affect each following page. In some cases the entire book would have to be reformatted and repaginated - forcing us to an entirely new production schedule, incurring significant cost, and completely throwing your book off-schedule. Here is what we need you to do upon receipt of your proofs - we suggest you print them out for convenience. CONFIRM the placement of images, art, graphs, tables, children'ss, etc. It has been our experience as one of the industry's leading Christian self publishing companies, that authors who closely follow the above information will have a positive and rewarding experience in the production of their book. We truly are here to help you build the Christian book of your dreams. I want to use previously printed material. Do I have to clear permissions and do all the paperwork? You will need to secure permission to use any material that doesn't specifically belong to you or is not public domain (e.g. KJV scripture) - including art, photos, scripture from certain Bible versions. Your representative can point you to the needed permissions forms. If you do decide to use previously printed material, you should not use more than 10% of the total content of the originating source. Please note that using material for 'Education' is not all needed to have something defined as "fair use". Will my Christian publishing project look like a real book? Your book WILL BE a 'real' book - and will stand with the best products produced by the largest and most successful publishers. Each and every part of your project will be created with the highest level of professional design and production. Amen. Does Dog Ear have another imprint that can be used for a Christian Book? We do. God's Word Publishing is a specialized imprint that can be used for Christian/Religious based books. Most authors prefer the Dog Ear Publishing imprint because we have established a great reputation with bookstores, media, and those that follow the publishing industry, but we understand if you'd like to use an imprint that appeals more to your audience. I need Christian Booksellers to be aware of my book. What can Dog Ear do to help? Christian bookstore owners have relationships with the same distributors that secular stores use to order books. With that said, there are specialty distributors that specifically cater to a Christian audience, and most Christian self publishing authors. The best known specialty distributor of Christian books is a wing of Ingram Books, called Spring Arbor. Upon request, Dog Ear Publishing can submit your book for consideration to Spring Arbor. We can't guarantee they'll adopt your title, but if they do, it will open the gates to bigger opportunities for your book. Most of our authors are invested in the success of their book, and also expect to be rewarded for their hard work. As a Christian author, you are in complete control of your profit level. You can make as little or as much as you like on your project. The retail price of your custom work is dependent upon many factors - including the printing costs, market factors, and your desired profit level. See our Retail Pricing page for strategies on setting a retail price and your author profit. The final customer price is set by the store.